THIRTY YEARS ago, Davis Square in Somerville and Forest Hills in Jamaica Plain looked a lot alike. Both were gritty corners of Greater Boston, far off most residents’ radar. And both were hoping a new subway station would breathe new life into a neighborhood with great potential. Since then, their paths have diverged. In Davis Square, the opening of the Red Line station in 1986 sparked a remarkable transformation. New residents flocked in. Bars and restaurants sprang up to welcome them. Housing construction surged. On Friday nights, Davis hums with activity. Somerville, in turn, has seen a steady increase in home values and property tax receipts, leading to better schools and services. But in Forest Hills, the reopening of a new $38 million station in 1987, topped by its distinctive clock tower, hasn’t made a similar impact. The neighborhood’s potential remains, but so does the grit. With its grated storefronts on Hyde Park Avenue and derelict apartment buildings on South Street, much of the area seems frozen in time — a sad symbol of the Orange Line’s unrealized expectations since the line was relocated in the ’80s. At one time, fear of crime and vandalism made investors wary of building new housing in “changing” neighborhoods like Forest Hills. Now, with a bustling Jamaica Plain business district just a mile or so away, Forest Hills is poised for improvement. But it’s being held back by poor state planning, in the form of a giant bus lot and crumbling overpass, that make the neighborhood seem unnecessarily isolated. Still, the potential for thriving redevelopment is vividly apparent in Forest Hills, and in many other areas around transit stations — and together, these sites will hold the key to providing something Eastern Massachusetts desperately needs to make itself more welcoming: reasonably priced, transit-friendly housing that will attract newcomers to the Boston area. 2/27: Austin flexes its tech muscles, so why can’t we? 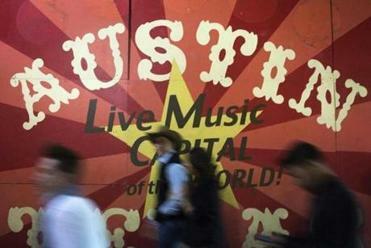 One of the key economic challenges Boston faces would be dramatically countered if the city played host to an event like Austin’s South by Southwest festival. All too often, the state’s out-of-control housing prices prevent that from happening now. The Boston region has the nation’s third-highest rental prices, trailing only San Francisco and New York; the region also has extremely low vacancy rates for both renters and buyers. This paucity of housing scares away businesses and potential residents. There is no starker illustration of these woes than the thousands who graduate from Boston-area universities every year and immediately leave to start their careers and families elsewhere — an exodus that takes a continuing toll on the city’s vitality. Massachusetts has at least promoted the construction of housing whose costs is artificially kept down through deed restrictions, subsidies, and other means. But these measures aren’t necessarily helpful to younger workers who earn just a little too much to qualify for affordable-housing programs. What the region needs — and what Boston and other dense local communities should promote — are moderately priced market-rate units in emerging neighborhoods with good transit access and the potential to develop appealing urban amenities. So far, much of the discussion about increasing the supply of reasonably priced housing around Boston has focused on cajoling suburban towns into allowing more construction. There, too, higher-density developments around transit stations are key: Suburbanites might rebel against developments that seem to change the character of their towns, but building new housing in town centers enhances that character in all but the most rural of suburbs. Even residents of single-family homes on large lots benefit when their towns expand their tax base by luring new residents, restaurants, and shops to a burgeoning town center. Unfortunately, few suburban towns have embraced the idea — a sign that opposition to change extends beyond economic logic. Newcomers sense the resistance. Building more quality, higher-density housing around commuter stations in Needham, Wellesley, Concord, and similar places would not only improve the state’s housing stock, but also send an important signal of welcome. Having grown tired of suburban towns’ delaying tactics, the Patrick administration recently announced a goal of fast-tracking development around transit stations in cities and towns that embrace it, including Boston. Patrick’s overall goal of creating 10,000 new multifamily housing units per year seems both too ambitious and not ambitious enough: The state created fewer than half that number last year; and yet, even if the goal were met, it wouldn’t fully address the crisis. The Boston Foundation estimates that under optimistic economic scenarios, about 10,000 new units of multifamily units will be needed just in Greater Boston to keep pace with demand. In this context, transit-linked development is vital. Such housing in urban settings offers even more environmental benefits than in suburbs. It’s also an increasingly popular lifestyle choice among young families and among retirees downsizing from single-family homes. The Boston Redevelopment Authority rightly concluded Forest Hills was ripe for a similar style of development five years ago, but progress has been slow in a weak economy. It took the MBTA, which owns land immediately around the station, three tries to sell “parcel U” to a developer that hopes to build 120 units; it still can’t find a developer for the nearby “parcel S.” At Jackson Square, another ’80s-era Orange Line station where nearby land has sat vacant for decades, some construction is now finally underway, aided by the state. But up and down the corridor, weed-strewn lots remain. The slow pace of land disposition has been one barrier to transit-oriented development in the city. It’s an accident of history that many of the parcels around the Orange Line belong to public entities; the land was taken in the ’60s and ’70s and cleared to make way for an interstate highway that was never built. The T and, especially, the state need to streamline the way they dispose of land. Also needed is a more flexible approach to parking spaces. One obstacle developers face is that neighborhood groups often fear new residents will compete for parking spaces, and demand that developers include an unreasonable amount. Requiring new parking lots and garages may mollify neighbors, but it may make some projects uneconomical. Plus, transit-oriented developments, by their nature, cater to residents without cars. So Boston should keep parking space requirements modest. As transit-friendly areas emerge, so does the possibility of reasonably priced units. Forest Hills is on the cusp of a major transformation, as the state prepares to tear down the unsightly Casey Overpass. Already, there have been some signs of change, including a new Harvest Co-op market on Washington Street. No single neighborhood is going to provide the answer to the region’s housing crisis. But as the remarkable vibrancy of places like Davis Square have demonstrated, new residents are eager to move to well-connected urban neighborhoods. Boston — along with its neighboring communities — must give them the quality of life they deserve.